"it works perfect with the Zinger Winger"
Just need to include the Velcro, and it works perfect with the Zinger Winger. 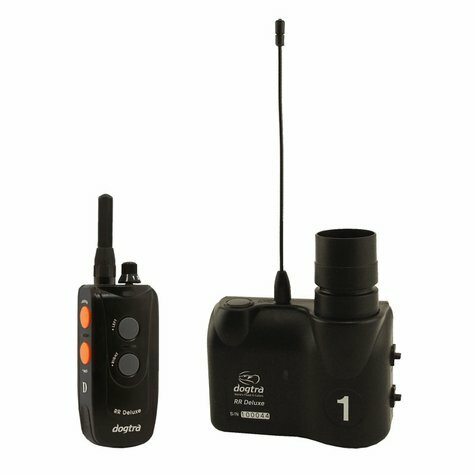 I'm ery happy with the Dogtra remote release electronics. I'm able to set a Versa Launcher up much further away and get more reliable launches than with the rrt electronic release system, it was well worth the money spent. Works really well. Had a problem with the first one turning on by itself and Gun Dog Supply quickly replaced it. Uses a code free design so that you can match one transmitter to up to eight different receivers. 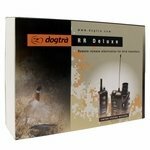 The Deluxe Remote Release (RR Deluxe) is NOT compatible with older Dogtra Remote Releasers. 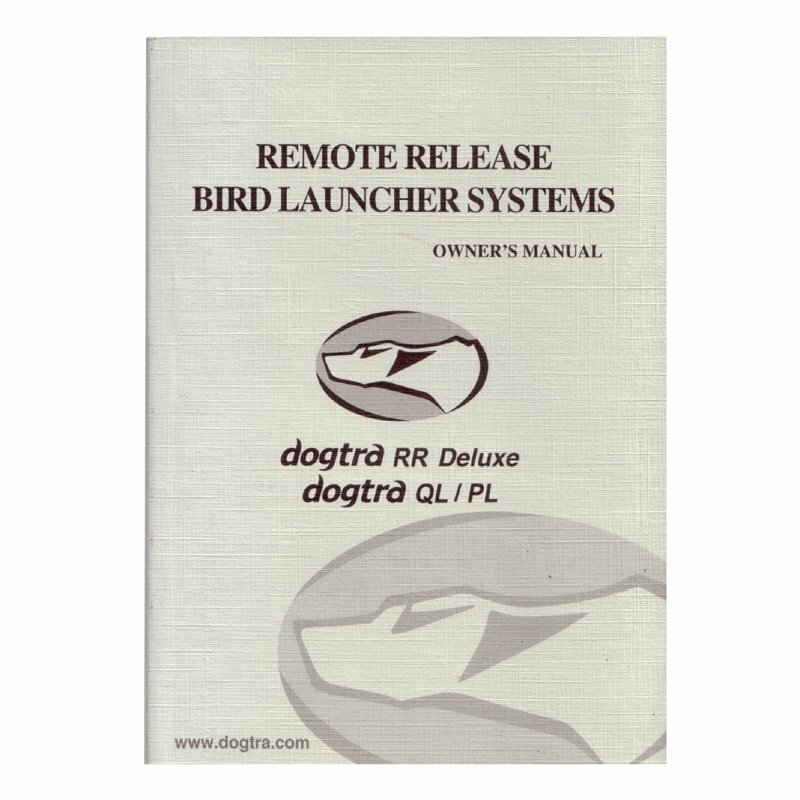 Dogtra Deluxe Remote Releaser Systems have a 1,000 yard range and are compatible with Thunder Equipment, Dogtra, Zinger-Winger, Gunners Up, Etch-Marc, and most other bird / bumper launcher systems. 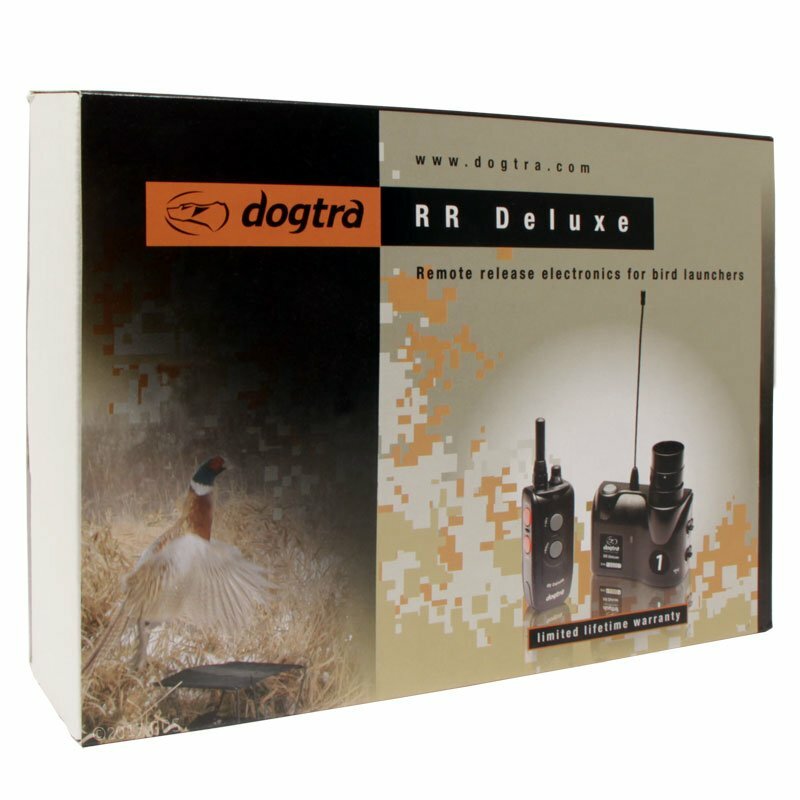 The Dogtra RR Deluxe features two sound modes: authentic Mallard duck-call attention getter or a beep-locater sound, each with up to a 100 yard sound range (varies with weather conditions). 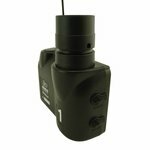 Run up to eight different receivers off one transmitter, giving you control of up to 16 launchers! 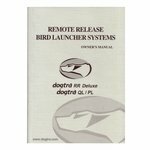 Spread your launchers apart using the optional 15 foot jumper cable. Uses long lasting rechargeable Ni-Mh batteries (charger included) with 3 color battery life indicator. 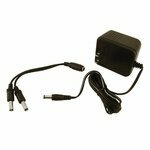 Additional charger available. 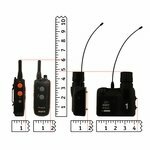 Transmitter is waterproof, and receivers are water resistant. 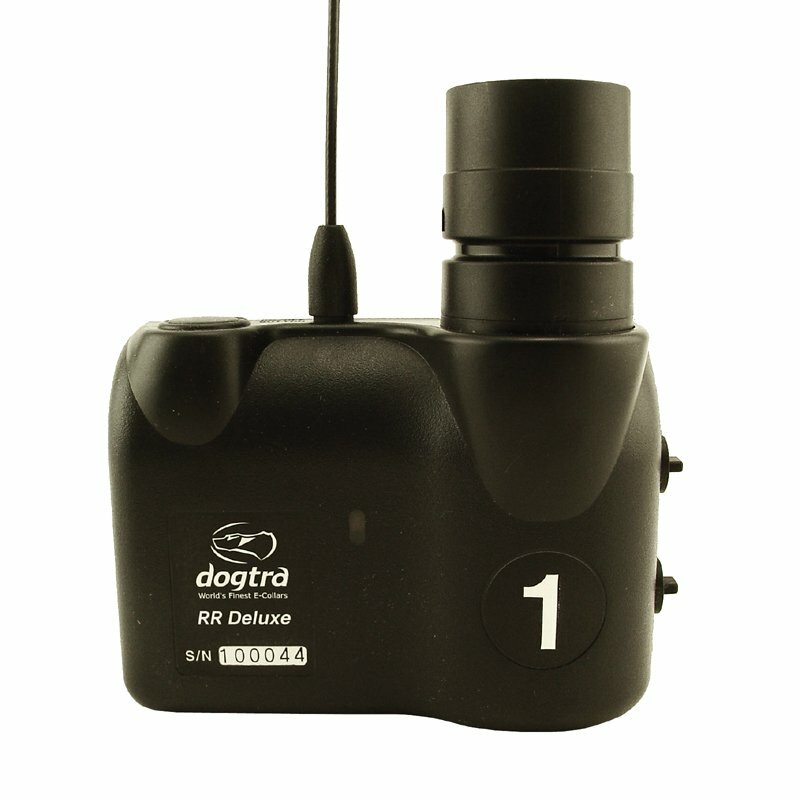 The Dogtra RR Deluxe Remote Release uses a code free design so that you can match one transmitter to up to eight different receivers, controlling up to 16 devices with the left and right ports. Once you have synced the transmitter and receiver, pressing a button on the specific selection dial will only activate the designated receiver. 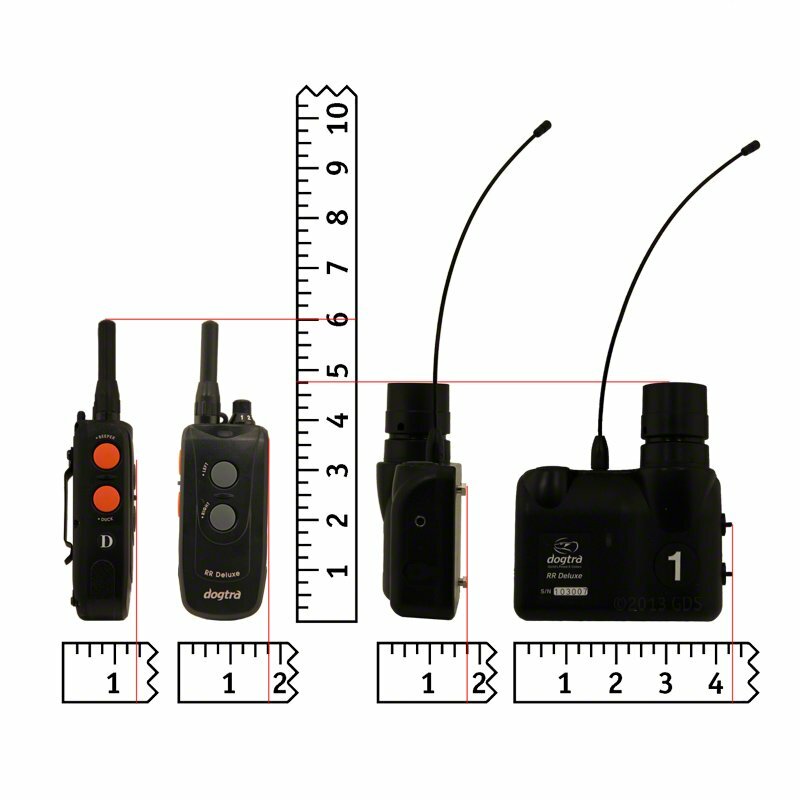 Follow these steps in order to pair your transmitter with each receiver unit. 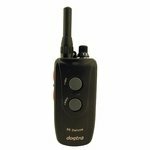 1) Turn the selection dial on the handheld transmitter to the desired number to pair it with the receiver. For example, if you want to designate a receiver as your number 2 receiver, set the selection dial of the transmitter to number 2. 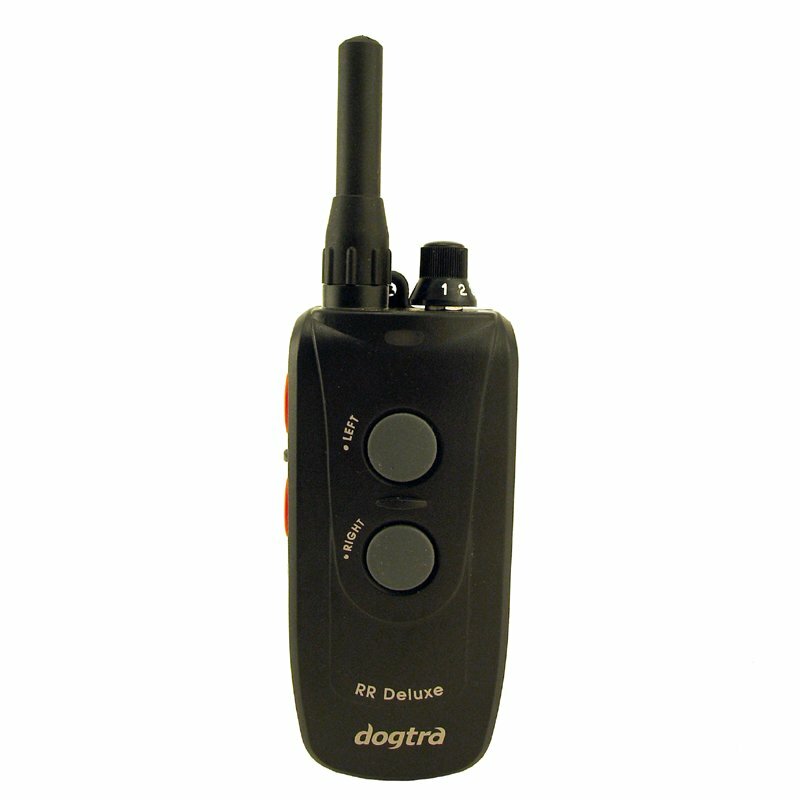 2) Hold down the on/off button of the receiver for 5 seconds or more. Release it when the green LED blinks rapidly. 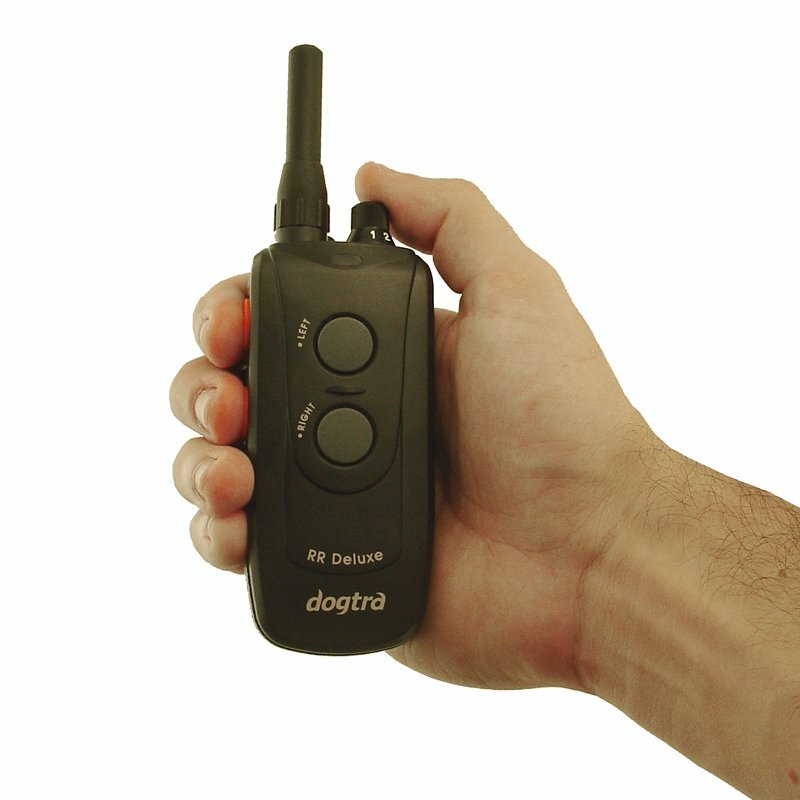 3) Within 5 seconds after releasing the on/off button of the receiver, hold the left and right buttons simultaneously on the handheld transmitter. 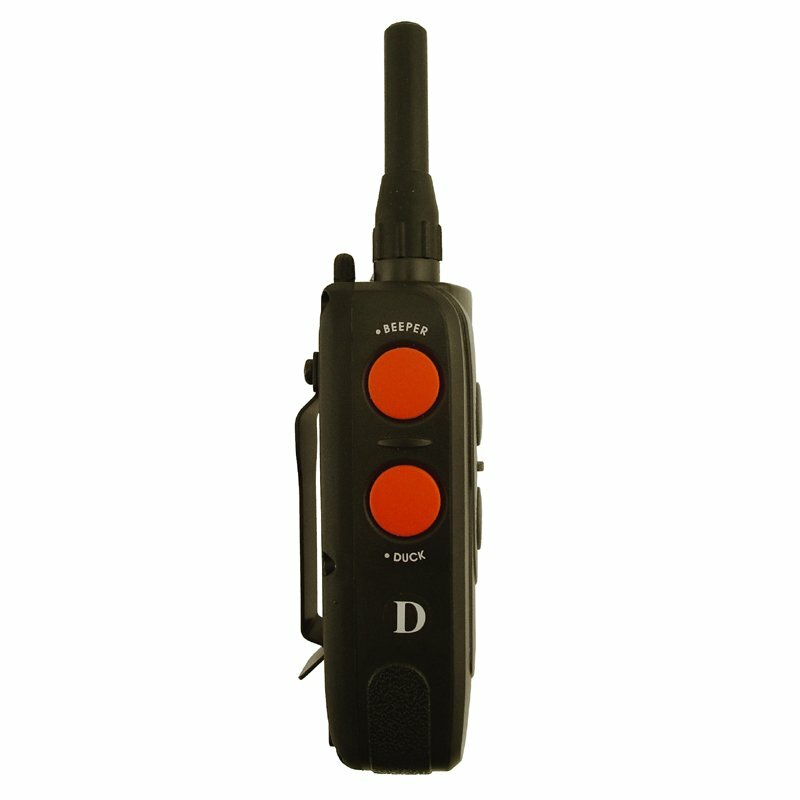 When the receiver successfully acknowledges the transmitter, the LED on the receiver should emit a constant green light for approximately 3 seconds then switch to slow steady standby blink. 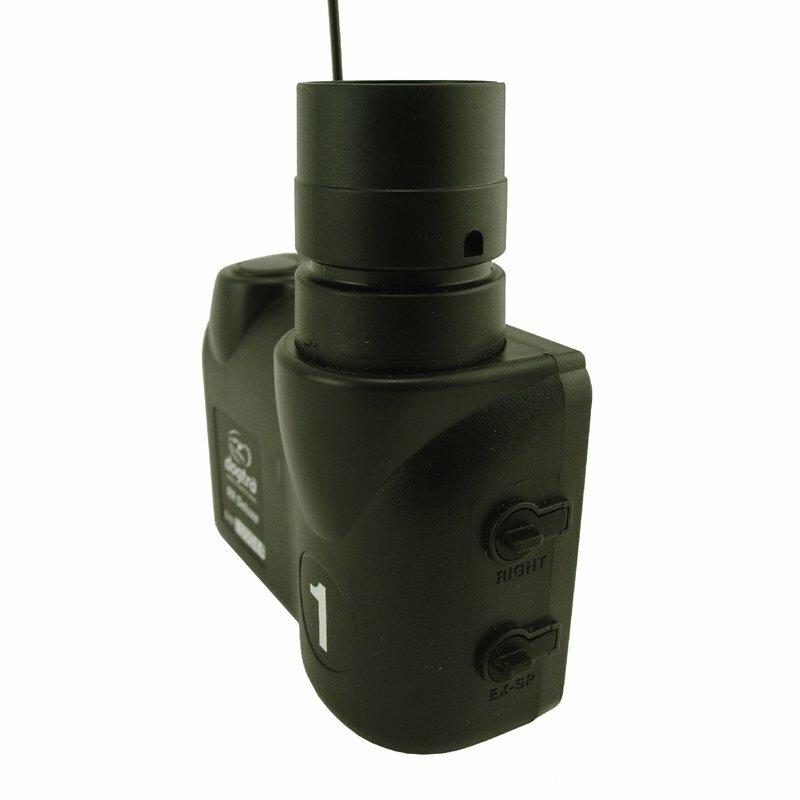 4) Press the duck call or beep sound button on the transmitter. 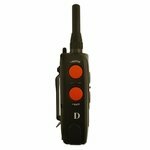 If the receiver emits sound, the receiver is successfully coded to the transmitter. Repeat the process from step 1 if you have additional receivers to be synced. Manufacturer one year limited warranty. See more Dogtra warranty information here.